General Motors said Grace Lieblein will replace Alicia Boler-Davis as head of global quality as it nears the end of a year in which it set a new record for recalling vehicles. Boler-Davis, 45, who has been in charge of quality since July 2013, will retain her responsibilities as GM’s head of customer experience and oversee OnStar as well. Her new title will be vice president for global connected customer experience. Lieblein, 54, currently GM’s vice president for global purchasing and supply chain, will be replaced by powertrain chief Steve Kiefer. Kiefer’s old role will be assumed by Dan Nicholson, executive director of powertrain embedded controls. GM also said the executive who had been overseeing OnStar and the rollout of 4G wireless Internet connectivity, Mary Chan, is leaving "to pursue other opportunities." The changes are effective immediately, GM said. Boler-Davis and Lieblein will report to Barra. Kiefer will report to product-development boss Mark Reuss. Boler-Davis was one of three GM executives who had responsibility for approving recalls in late 2013 when an internal investigation said the issue of faulty ignition switches first reached the top levels of the company. The other two officials were manufacturing chief Gerald Johnson, who was reassigned to an “operational excellence” position in July, and engineering chief John Calabrese, who left GM in April when Barra announced a shakeup of his department. The committee reviewed the matter in December 2013, then approved a recall on Jan. 31. Boler-Davis, who personally informed Barra of the recall later that day, told investigators that she didn’t realize until February that fatalities were involved and would have treated the matter more urgently if she had, according to the report prepared by former federal prosecutor Anton Valukas. GM has announced 77 separate recalls this year covering 30 million vehicles. Although many of the recalled vehicles are out of production, about two-thirds of the campaigns announced this year involve vehicles from the 2014 and 2015 model years, while Boler-Davis was in charge of quality. GM has overhauled its recall practices, putting the decision to approve them in the hands of a five-person committee headed by Reuss. 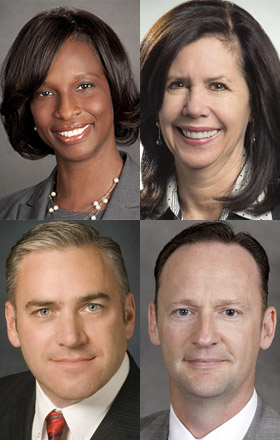 Boler-Davis was manager of GM’s Orion Assembly and Pontiac Stamping plants before then-CEO Dan Akerson promoted her to vice president of customer experience in 2012.